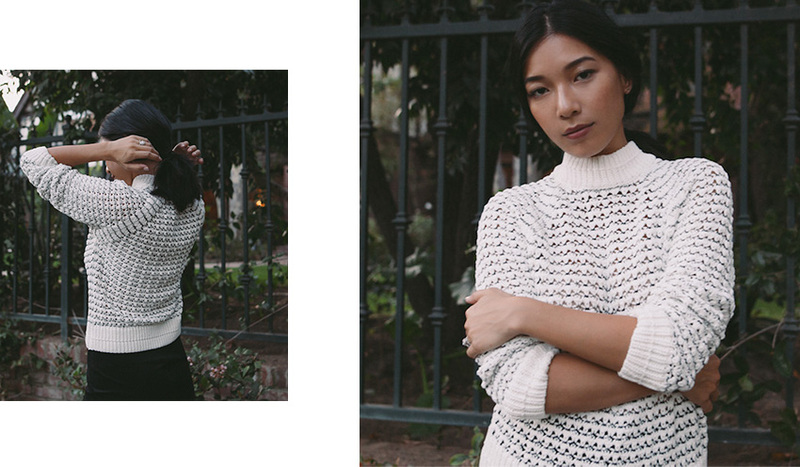 I went out with one of my fave bloggers one afternoon and savored the wintry breeze and falling leaves with knits from Margaret O'Leary. 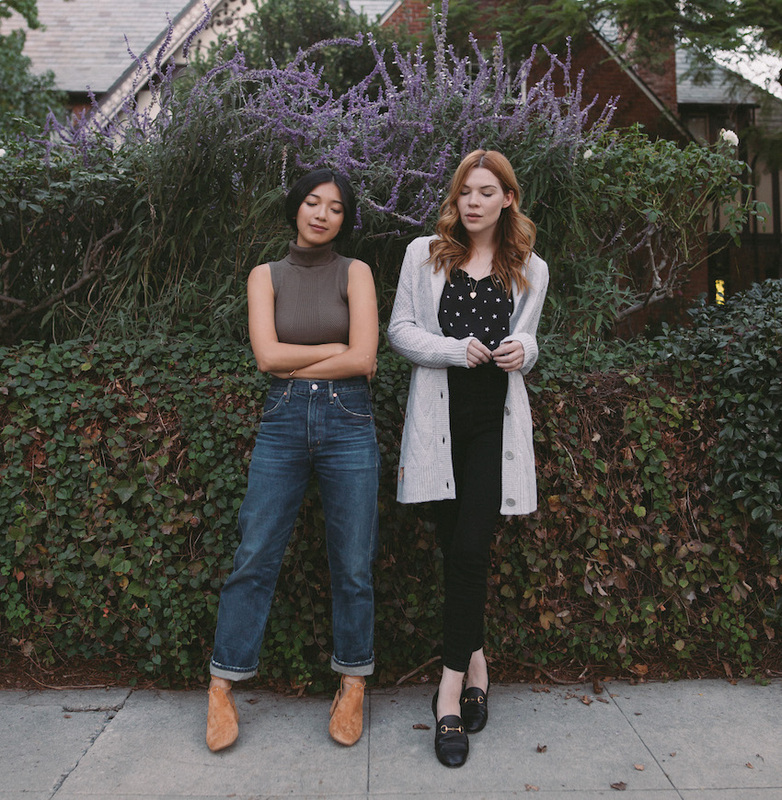 Courtney and I doubled up on our sweater game to show you how to style your winter knits from day to night. I love being able to share both of our styles in this special post, because Courtney knows how to put together the best off-duty outfits that always look so charming and effortless. She kept it sleek in a black-and-grey palette for the day and went for understated glamour in lustrous velvet and metallics for the evening look. You have to check out Courtney's blog, Pretty Little Fawn, to see more of how she styled her fave cozy sweaters from Margaret O'Leary! 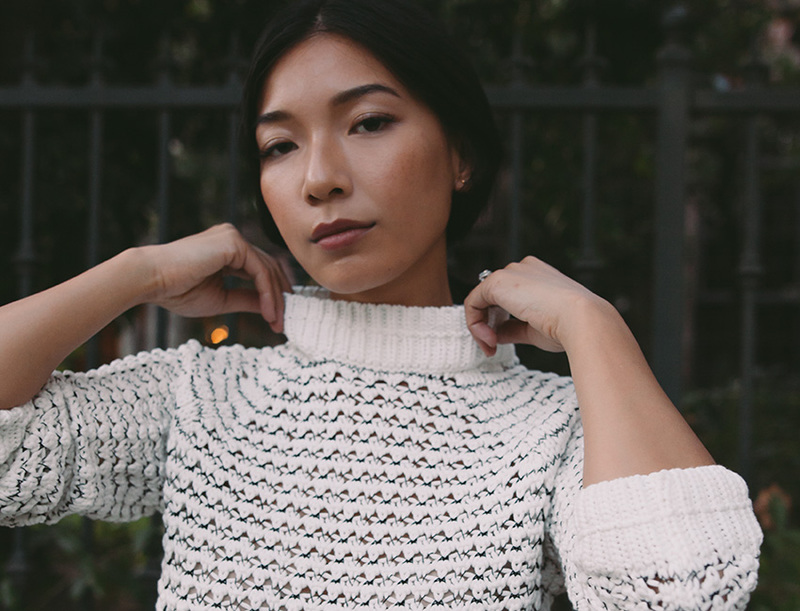 Margaret O'Leary is the go-to for well-made knitwear. The brand's luxurious selection of pullovers, coats, and cardigans allows for such a versatile palette of endless mix-and-matching to keep you warm and stylish all season. Some of my favorite pieces not shown include this cropped pullover that pairs perfectly with boyfriend jeans and this incredible shearling jacket for date nights in the snow. thank you! It's so fun styling knits for winter. I am in love with your shoes - great post. you two are the epitome of chic.